At Dakota Custom Hunt we can guarantee a pheasant hunt you will not soon forget. With a customized itinerary we will help you plan your hunt, just let us know how many in your party, which days you would like to come and how many days you plan on hunting or if you are combining another hunt along with pheasant hunting. Bird cleaning, packaging and freezing are available with a three pheasant limit, $3.00 per bird. 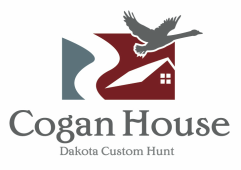 All hunts on Dakota Custom Hunt property must stay at lodge. With ample aces of wooded breaks along the river for the wild turkey to roam, Dakota Custom Hunt would be happy to help guide you in the direction and best area to hunt. We only take a limited number of hunters so you would be the only hunter in that area.